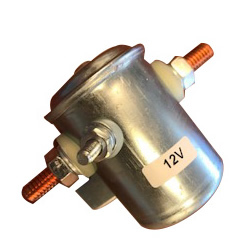 This Bailey Solenoid is part of the Metal Housing Family. The Metal family includes both the standard Metal DC Contactor and the SPDT Metal. 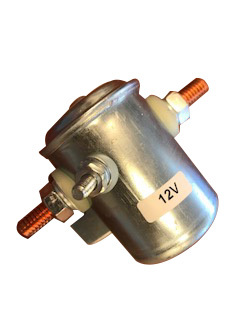 These electromechanical devices utilize a metal casing to surround a DC contactor, which allows for higher application ratings. While the standard Metal is best suited for hydraulic power packs, and military vehicles, the SPDT is used on truck winches, marine lifts, and RV slide out systems. Other applications for the Metal family include buses, heavy trucks, and military vehicles. The Single Pole Double Throw Contactors provide current flow through one of two contact stud sets, suitable for operation in pairs for motor reversing.